Had you taken time to learn more about the activities of the Israel State Archives (ISA) before publishing your letter of April 19th 2016, you would have avoided a number of significant inaccuracies as well as some minor ones such as our address and the spelling of my name. The ISA is in its fourth year of an ambitious 17-year program to put its entire collections online in a free and unfettered form. The program includes high-quality scanning of the entire collections (36 million scanned pages so far); creating a new layer of knowledge management and applying it as an advanced catalogue system; utilization of technological progress such as Optical Character Recognition (OCR), Business Intelligence (BI) and crowdsourcing, to name some of the more obvious tools. The cataloging staff of the archives is scheduled to multiply more than tenfold, and our budget has been dramatically expanded. This is happening because the Cabinet itself, no less, decided that the existing state of the archives was unsatisfactory and the citizenry of our democracy deserved better access to the documentation of its government; it was the Prime Minster and his colleagues who gave us our new marching orders. The jewel in the crown will be a tri-lingual website (Hebrew-Arabic-English) where everything will be easily accessible with the help of an embedded version of Google's search engine. A working draft of the website has been online for months, and has been used by many researchers. As a matter of project management we recently decided that we needed to move from the laboratory to the real world, fully cognizant that this move would initially encounter significant wrinkles which can be discovered and ironed only by being in the real world. I am confident this initial version will be stable and fully operable within a few weeks; more advanced versions will go up in the coming months; we have a budget item for the continual improvement of the website all the way to the end of 2029. Within a year the ISA website will be one of the most advanced archival websites in the world. The documentation will enjoy all the many advantages that digital data has over paper: flexibility, mobility and portability, replicability, and searchability, to mention but a few. Users will be able to arrange the documents into files of their own. Academics will be able to use high-quality versions of original documents in teaching and collaboration. Most transforming, to my mind, will be the ability to link the documents themselves into academic publications. Instead of footnotes, electronic versions of publications will give direct access to the documentation itself; paper versions will indicate where readers can find the documents on their iPads. The reading room at the ISA remains open, and researchers with compelling need to see paper files will do so. We will encourage them not to, however. As a matter of principle because the online access will be better; as a matter of preservation, as experience shows that paper files are often harmed by users, inadvertently or otherwise; and as a matter of logistics. One of the most significant aspects of the new website relates to the gap between some one million records in the online catalogue and the first 80,000 scanned files. Whenever a researcher needs a file which is not yet online, we will process it and put it there within about two weeks, free of charge. Even now, with the website still in its infancy, we are receiving orders for more files than before, and the staff in the storage facility cannot deal simultaneously with three tasks (systematic scanning, ad-hoc scanning and delivery of paper files). Your fear regarding the censor is highly exaggerated. First, because ca. 95% of the collection will never be submitted to the censor. Second, because the reminder undergoes security declassification anyway, just as in the United States and all other democracies world-wide; the declassifiers and the censors generally agree with each other. Third, because the remit of the censor is strictly limited to a small number of topics, most of which are rarely the object of academic research in the first place. Fourth, because decisions of the censor are subject, legally and in practice, to the scrutiny of the High Court of Justice. And fifth, because the ISA is scrupulous in indicating each and every case where information has been redacted. Researchers who object to specific decisions of redacting can, and do, request remedy first from me, then from the courts. It's not a perfect world, and the conditions in Israel's archives are far from perfect as well. Yet we are making dramatic improvements in the services we offer, and are rapidly approaching an unparalleled level of openness. 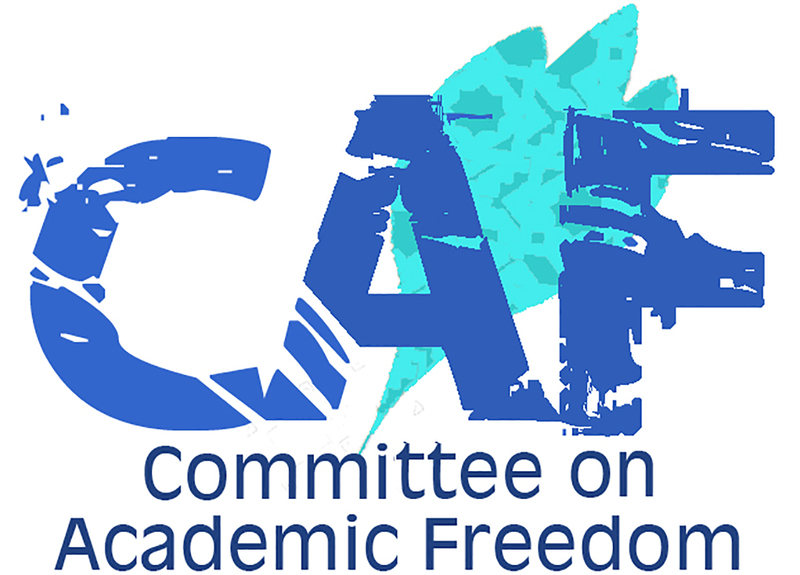 We are promoting academic freedom, not violating it. By throwing open the archives to innovative uses and new segments of the public we hope to encourage new research and new researchers. Precisely the opposite of your fears. As agreed upon with Ms. Sara L. Palmer of the University of Arizona, I request you publish this response at any venue in which you published your letter of April 19th.